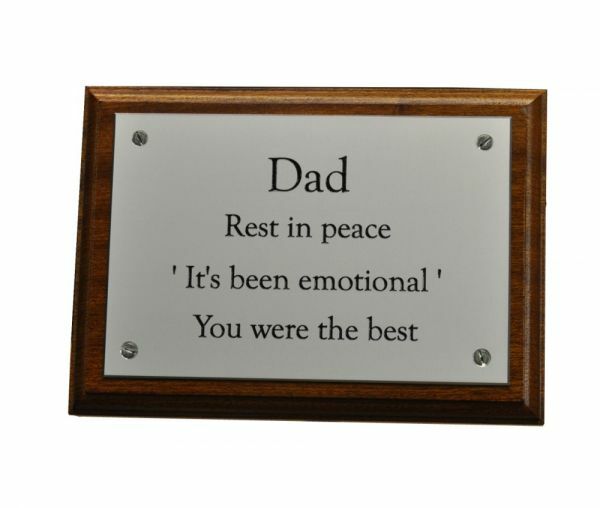 An ideal and lasting memorial for individuals, families or groups of friends to help celebrate a life, our traditional Aluminium Memorial Wall Plaques are designed specifically for this purpose. 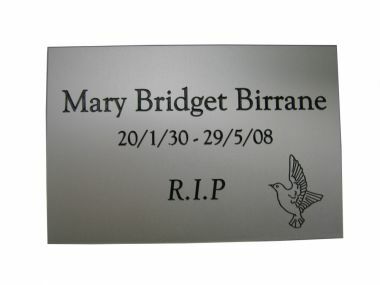 Aluminium Plaques offer a more modern appearance than brass and will not tarnish, just wipe with a damp cloth occasionally to maintain its appearance. Although less durable than stainless steel, they are supplied with a satin silver finish and anodized to an exterior suitable for interior or outside. 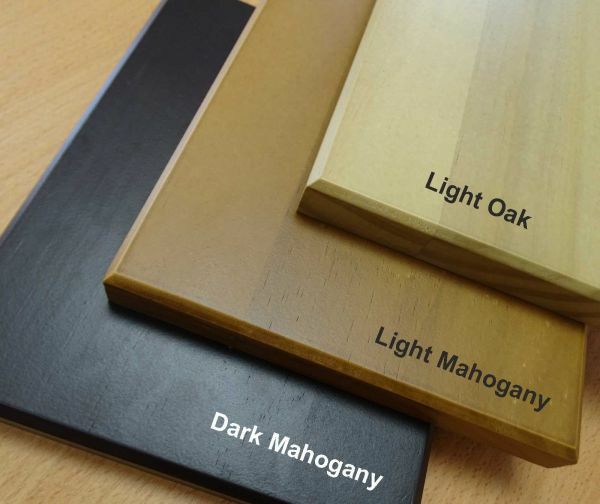 We use 1.5mm thick material, complete with bevelled edges (other thicknesses are available). The text is often filled black to give a prestigious contrast to the aluminium, however other colours can be requested. 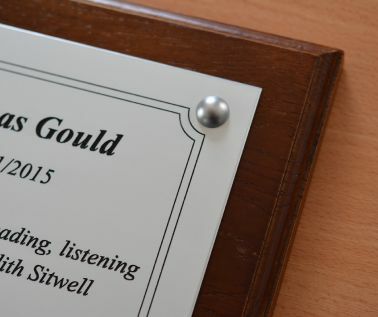 Logo’s, borders, a range of standard graphics and Accoya backing boards can all be added to enhance your memorial plaque the standard border incorporates scalloped corners which surround and highlight the screws. Nameplate Fixings, either screws or self-adhesive, are supplied with all nameplates when requested. Larger nameplates (from 8" x 6") are supplied with domed covers to the screws, we do not recommend self-adhesive for these sizes. Wooden base fixings, screws and universal wall plugs are supplied with all Accoya wood bases. We recommend a using a minimum of three fixings to avoid warping. 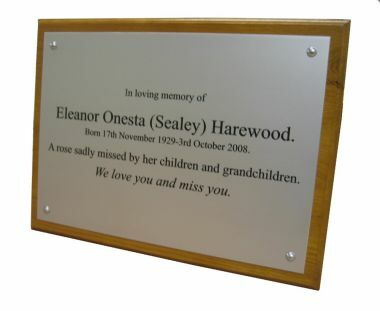 When ordering a nameplate with a wooden base the nameplate will be supplied fixed to the base. The nameplate will need to be removed from the base prior to fitting. 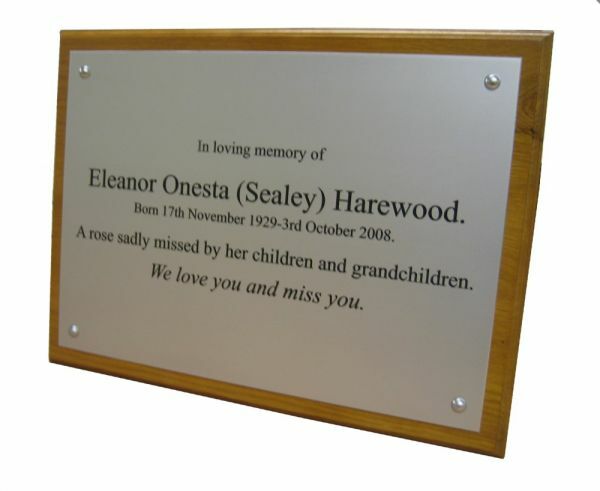 Aluminium Memorial Wall Plaques can be supplied with screws, self-adhesive or without fixings. Screw Fixings:- Plaques are supplied with 4 x fixing holes and screws. Sizes 200 x 150mm and above are supplied with domed cover caps. To view a video tutorial on how to fit your plaque please click here. 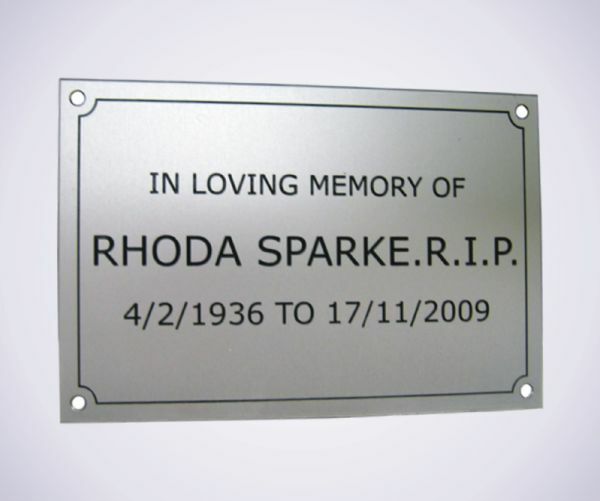 When ordering a nameplate with screw fixings and Accoya base, the nameplate will be supplied fixed to the base. To view a video tutorial on how to fit your plaque and base please click here. Wooden base fixings:- screws and universal wall plugs are supplied with all Accoya bases. NB Bases are not supplied with fixing holes click here for additional fitting instructions. 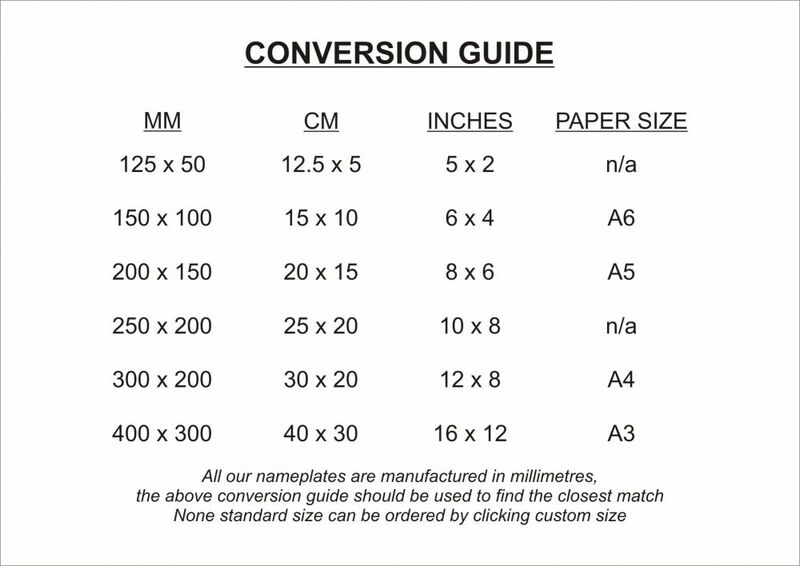 Self-Adhesive:- (Not recommended for plaques 200 x 150mm and over) Plaques are supplied with a high grip exterior grade self-adhesive tape, for further information please click here. Please select a fixing from the list above. Note: we do not advise self adhesive on brass or stainless steel nameplates above 8” x 6”. STEP 9 - Would you like to see a proof prior to production? Would you like to receive a proof?